A while back, my partner Toni and I launched a free group giveaway service called Go Brand Win. And this service was designed to help ecommerce and Amazon entrepreneurs quickly grow their email lists for free by collaborating with similar brands. 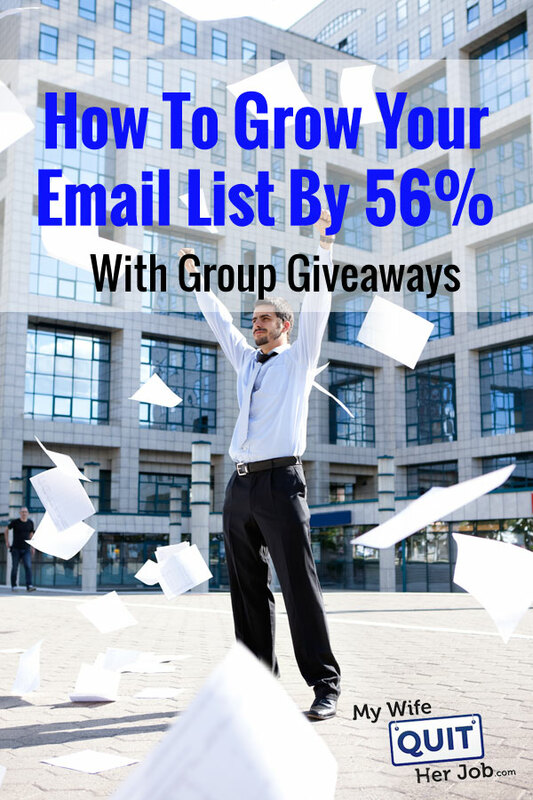 How quickly can you expect to grow your list with a group giveaway? Here are some statistics from our very first contest. For some of these participating companies, we managed to more than double their email list overnight! Note: It doesn’t matter if you are an Amazon only business. We can also run an Amazon giveaway as long as you are brand registered. The only requirement is that you have your own branded website. Having run a bunch of successful group giveaways at this point, I thought that it would be interesting to share our results with you using real data from our analytics. We’ll also discuss all of the ups and downs that we experienced and the pros and cons of participating in online giveaways. Note: This is not going to be a “rah rah” type of post that highlights the best aspects of group giveaways. Instead, I’m going to give you a realistic account of all of our struggles in addition to our successes. But before continuing on with this post, you must first understand how our free email list growth service works. What If You Don’t Have An Email List? Are Group Giveaways For You? First off, GoBrandWin is 100% free. We don’t charge any money to participate in our group giveaways. So what’s the catch? How do we make money? Eventually, we plan on monetizing our service by leveraging the power of our email list. But we don’t plan on charging companies for taking part in the giveaway itself at this time. With that in mind, here’s a brief summary of how our service works. 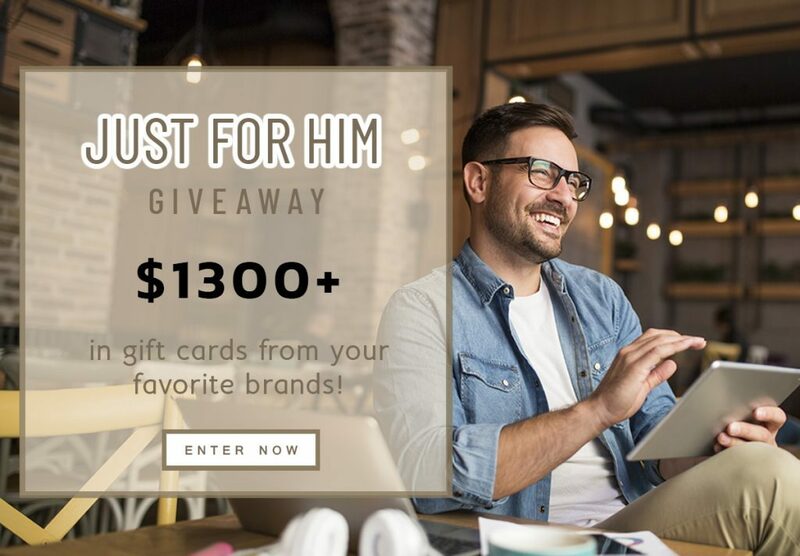 You must contribute a gift card from your business valued at $200 or more. 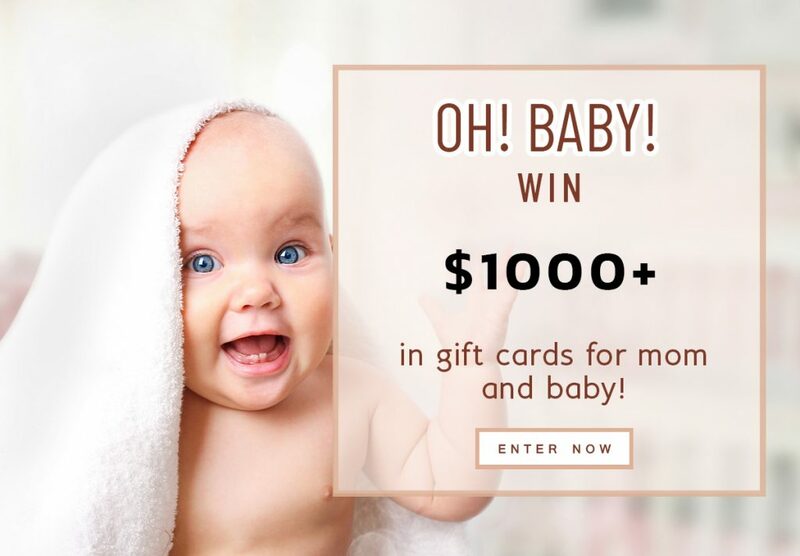 We gather gift cards from other brands with a similar demographic and combine them into one massive sweepstakes giveaway. All brands then send our sweepstakes email to their entire email list. People enter their email, we send them special offers from your company and select a grand prize winner. 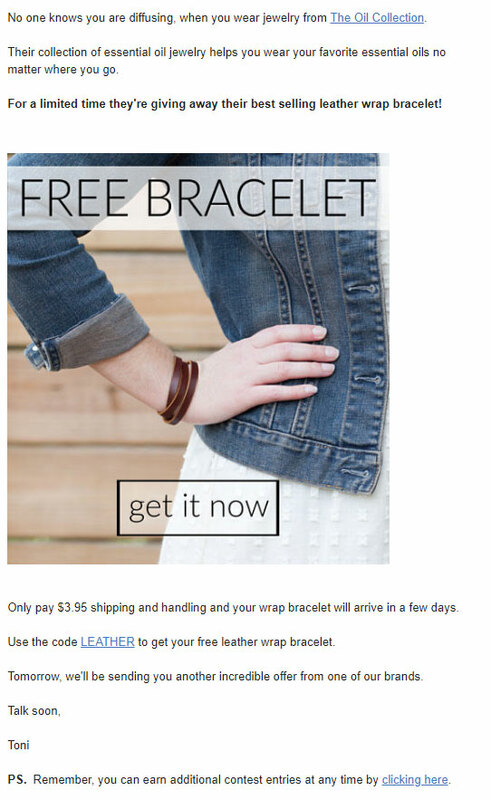 All brands get to keep the entire email list at the end. Note: If you are interested in taking part in our next group giveaway, the click here to sign up for free! ViralSweep is a software giveaway platform that encourages contestants to share your contest with friends in return for additional contest entries. Contest amplification with ViralSweep works REALLY well. If you take into account that the average email open rate is around 20% and the average click through rate is < 5%, we would not have been able to reach 11.7K subs without the power of ViralSweep and social sharing. In addition to social amplification, we also share our group giveaways with relevant bloggers and influencers. How did she develop all of these relationships? Well Toni is what we call an Internet dinosaur. She’s been working in the online space since the early 2000’s and founded and managed the Blogger Network for Savings.com. In addition, I’ve also been blogging for over a decade and I have my own pool of blogger contacts as well. All told, we try to share our giveaways with as many relevant influencers as possible. When a consumer enters a group giveaway, there is a high probability that they’ve never heard of your brand. And this can be problematic when it comes time to email your newly acquired email list. As a result, we place all contest entrants on a special autoresponder sequence designed to introduce them to your company. And in this email, we clearly express your company’s unique selling proposition. In addition, we send them special offers from your store to entice them to buy. 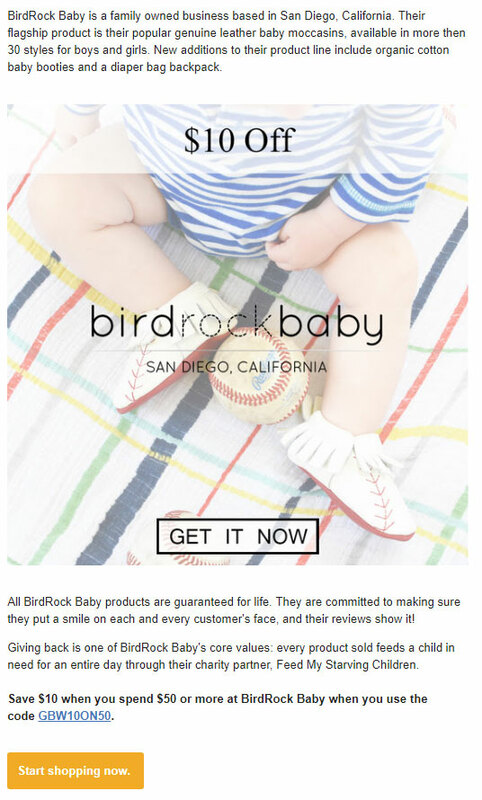 Here’s a sample email we sent for one of our participating brands, Bird Rock Baby. As contestants receive the giveaway email sequence, we keep detailed statistics of their engagement metrics and assign them a “lead score”. The lead score is a point value we automatically assign to actions subscribers take—such as opening emails and/or clicking on email links. For example if a recipient opens an email, 1 point is added to their score. If they click on a link within the email, 3 points are added. I’ll go into more detail about this later on in the post, but in a nutshell, brands can use this information to find out which email subscribers are truly engaged as opposed to which subscribers just want free stuff. 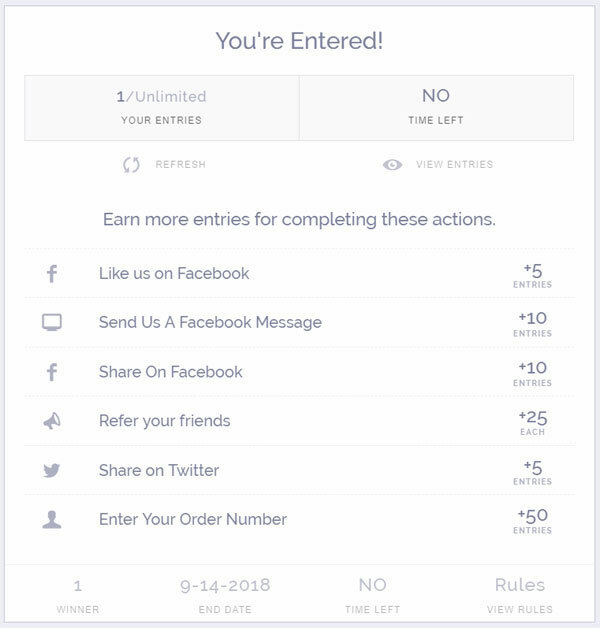 BTW, assigning “lead scores” to contestants is a unique feature of Drip, who is the email provider that we use to run all of our GoBrandWin giveaways. I also use Drip for my blog and they come highly recommended. Once the giveaway is over, we provide all participating brands with the entire list of entrants. But one thing that we discovered early on is that brands often don’t know what to do with their newly acquired emails. After all, many of these prospects are still somewhat cold even though they’ve been warmed up in our giveaway sequence. 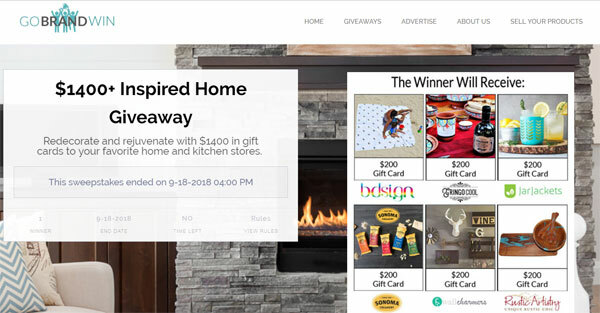 As a result, we provide all participating brands with a sample post giveaway email autoresponder that I personally use with my online store, Bumblebee Linens. If you would like to take a look at this sequence, please click on the link below. Note: This requires a free Drip account. Right now, Toni and I are evaluating Drip for her Shopify store as they’ve recently beefed up their ecommerce features. So far, Drip is very compelling given their price point and feature set. What we like about them is that they offer most of the necessary ecommerce features at half the price of other providers. Anyway, check them out and see for yourself. Every email subscriber in our giveaway list is assigned a lead score. And brands can use this lead score to isolate their top prospects to maximize their conversion rate. Now that you understand how our group giveaways work, let’s discuss some actual results from my online store. 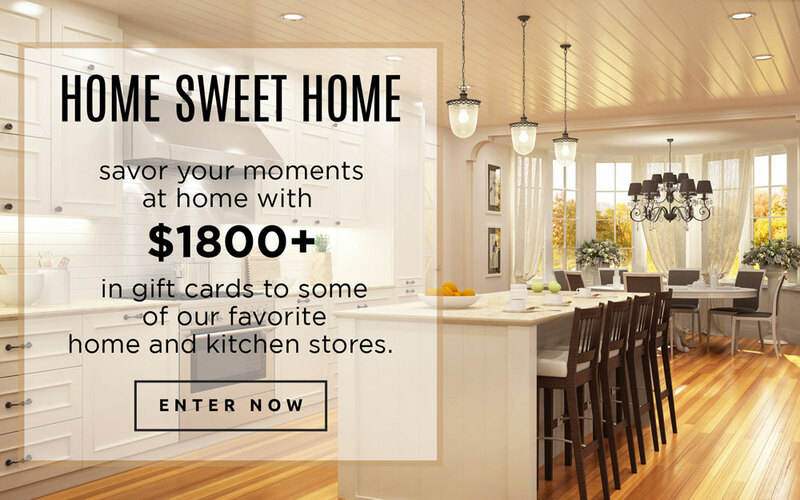 Because my company Bumblebee Linens participated in our first home and kitchen giveaway, I have some detailed metrics to share with you. Here are a few important details regarding the numbers above. First off, the winner of the contest never ended up redeeming my $200 gift card so the giveaway literally cost me nothing. (Contestants have up to 30 days to redeem their prizes). Second of all, the email results reported above are with a de-duplicated email list. 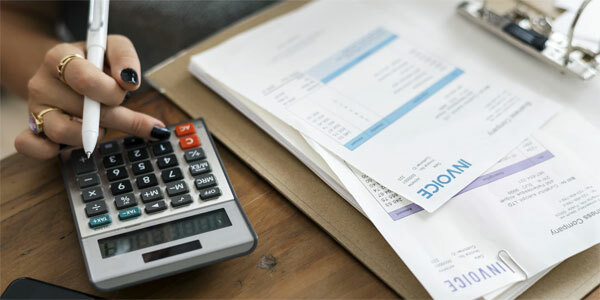 In other words, I removed all of my existing email addresses from the group giveaway list so that I could provide you with a true ROI calculation. Overall when it comes to giveaways, I like to clean my list immediately. So after my first 4 email broadcasts to the giveaway list, I immediately removed all non-opens which reduced the total number of subscribers by roughly half. Entering the holiday shopping season, I suspect that I will be able to extract more revenue from these highly engaged prospects and I’ll keep you posted with my results. By the way, I wanted to give a special thanks to our very first giveaway brands who were willing to be guinea pigs take a chance on a brand new service. Once we ironed out all of our issues and got our processes down pat, Toni decided to enter her brand, The Oil Collection into our $1600 Fashion And Beauty Giveaway. 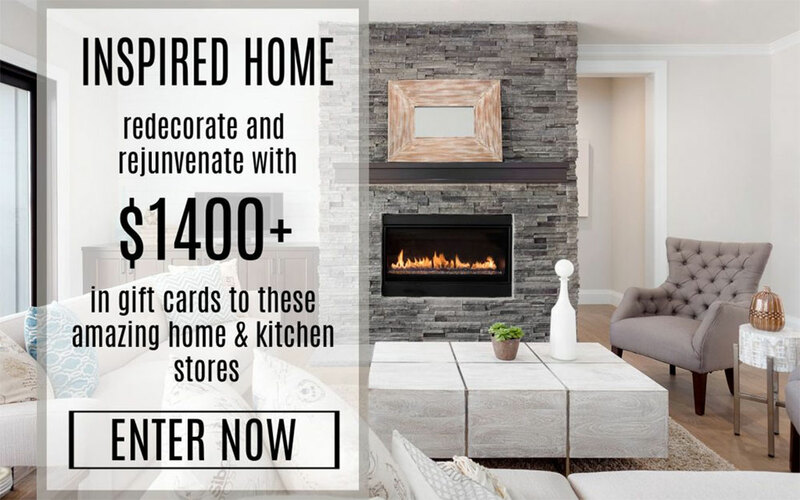 Even though the brands in this giveaway had much smaller email lists than the companies in our $1800 Home & Kitchen giveaway, Toni got very high engagement from her list of subs. Because lead scores were available for this giveaway, Toni decided to play it safe and only emailed prospects with a lead score of 30 or above. Below is a quick summary of her results. One thing that Toni did differently (which I thought was brilliant) is that she decided to use a free plus ship offer as part of the giveaway email autoresponder sequence. Note: A free plus ship offer is where you give a product away for free but the customer has to pay for the shipping costs. As result of her free offer, Toni’s giveaway autoresponder email had an open rate of 28% and she made 28 sales during the contest itself. All of these customers were willing to open their wallets so I’m sure that she’ll be able to up sell and cross sell them with additional products during the holiday season. Below are the raw results for the giveaways that we’ve run so far. We are in the process of gathering sales statistics from a few of the participating companies and I’ll update this post as they become available. One of my key takeaways from working with various brands is that the raw email list size doesn’t tell the whole story. In fact, there were several companies with large lists but extremely poor open rates. As a result, we now ask for the average email open rate on our application form. Editor’s Note: For this giveaway, the average list size was skewed by a few brands with large lists and low open rates. 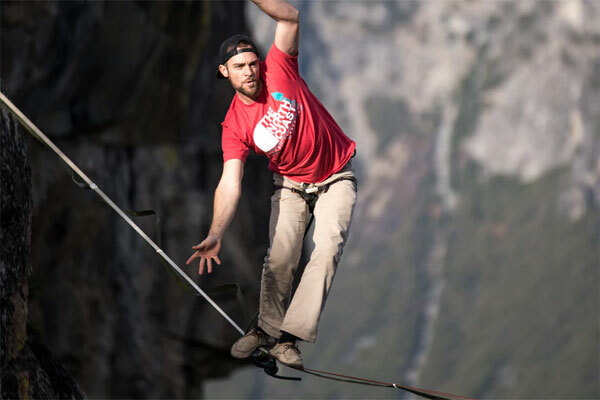 Editor’s Note: Once again, there was a huge discrepancy in open rates among the brands. List size doesn’t always tell the full story. While both Toni and I had positive results from our group giveaways, we did have a few companies who did not share our same sentiments. So we reached out to these brands, obtained their feedback and made many changes to our processes. Some of these changes are listed below. We personally rewrote the giveaway autoresponder emails to make them more enticing. 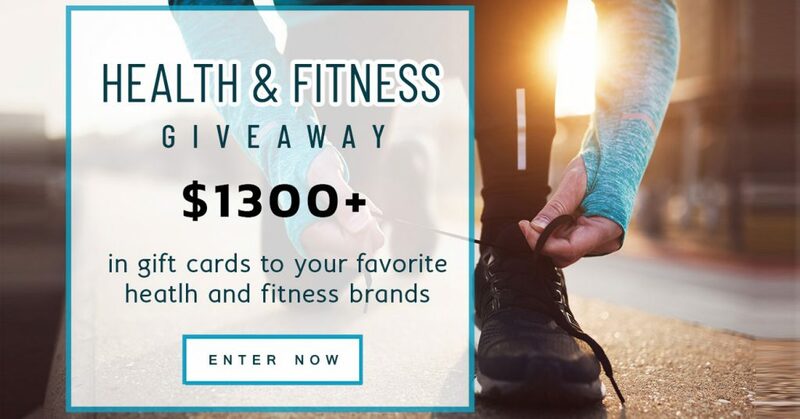 One of the challenges of running a group giveaway is that it’s highly dependent on which brands are paired together. And the matchmaking process can get extremely complicated. Overall, Toni and I make every effort to group companies together that have the same customer demographic. 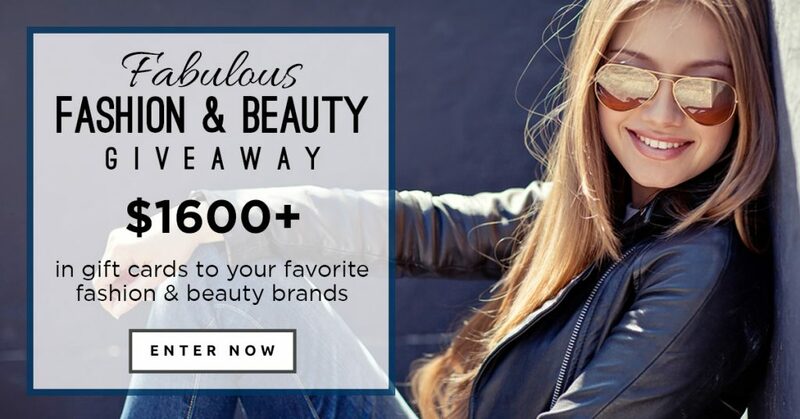 For example, we will not group together a fashion/beauty brand with a sports brand and all brands who participate in a given sweepstakes will have the same customer avatar. We also try hard to match brands based on their email list size to make our giveaways fair. However despite our best efforts, there will always be customers in any given contest who will not resonate with your brand. And unfortunately, this can not be avoided. But if you do the math, participating in a group giveaway is a no brainer especially since GoBrandWin is free. Let’s run some numbers shall we? To participate, your only cost is your gift card contribution valued at $200. This is dirt cheap. Most brands who run their own giveaways with Facebook ads pay between 50 cents to a dollar per subscriber. If you’d like to sign up with GoBrandWin, then click on the link below to sign up for free. Unfortunately, you can not participate in our group giveaways unless you have an existing email list of at least 1000 subscribers. However even without a large email list, you can still sell your products in our marketplace. Because GoBrandWin receives thousands of visitors per day through our group giveaways, we have the ability to redirect this traffic to your products. You must have a hosted store that accepts discount codes. You must offer at least a 30% discount on the product. You must have a product priced under $50. Given the fact that our group giveaway service is free, participating should pretty much be a no brainer. For the cost of a small gift card, you have the opportunity to gain thousands of new email subscribers. In fact, all it takes is 1-2 transactions to break even and you can easily grow your email subscriber list in the double digits overnight. If you do decide to participate in one of our next giveaways, here are some tips when emailing your subscribers. Be careful when emailing AOL addresses as they have a propensity to make your emails as spam. Clean your list after your first 4-5 email sends. Send enticing offers in your first few emails with a strong sense of urgency. Try to get your customers to take action immediately. Once you have a solid email list in place, you can use these subscribers to generate sales instantly on either your website or Amazon. In addition, you can create a custom audience on Facebook and Google and market to these new customers on multiple platforms! Love your transparency! Your honesty about your wins and your “lessons learned” are what kept me a loyal follower the past several years! I’ll definitely join once I reach 1000 email subscribers… off to grow my list. In the meantime thank you for the marketplace option!! !